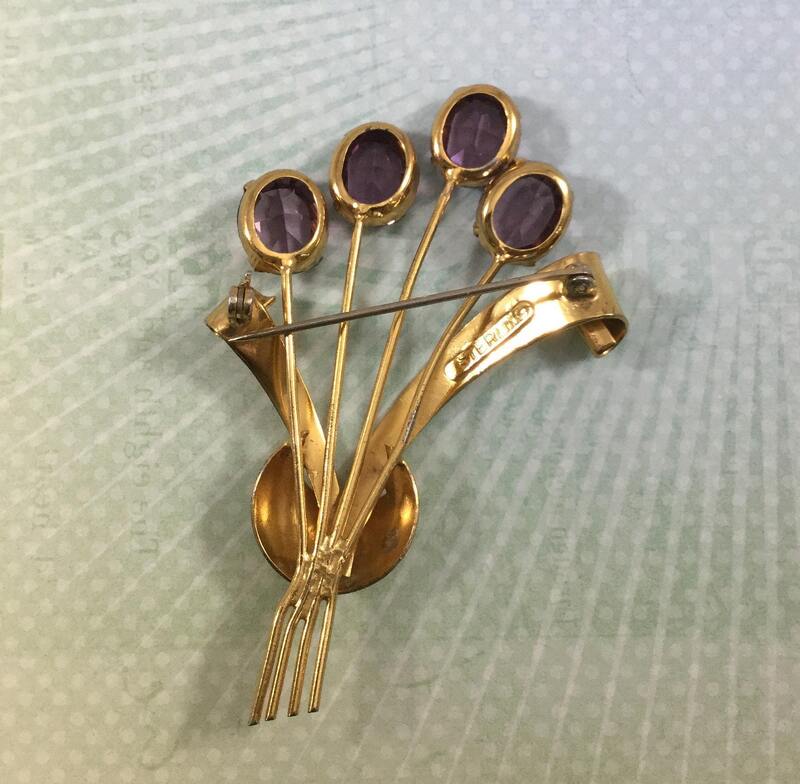 This is a pretty vintage Vermeil over Sterling Silver 1940s/1950s floral bouquet brooch. It has four large faceted prong set light purple rhinestone flowers. It is signed on the back "STERLING" with no other mark. It measures approximately 3" x 2" and the pin closure is straight and closes smoothly and securely. 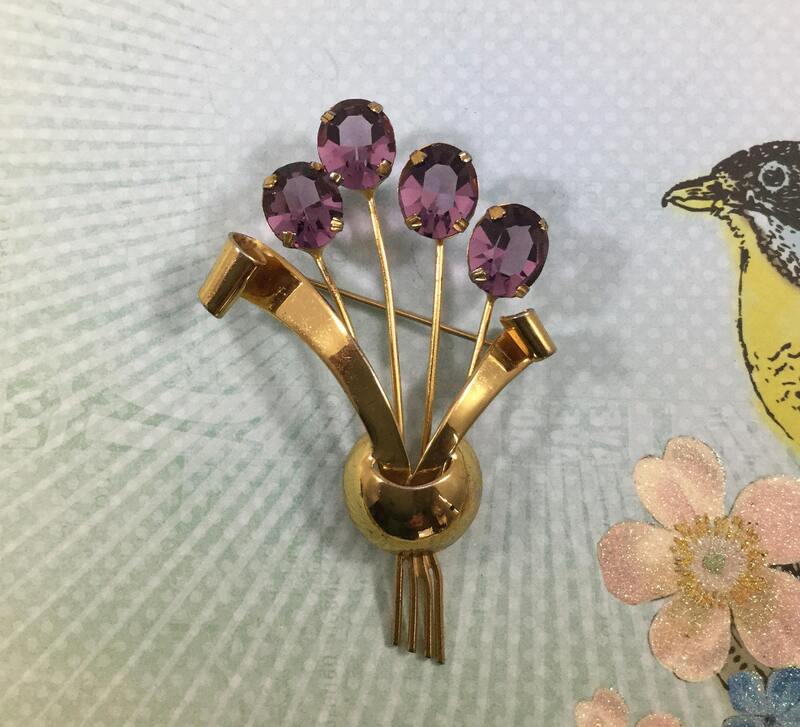 This pretty brooch is in very good condition with a small amount of wear on the back. It is simple yet classic in it's design.